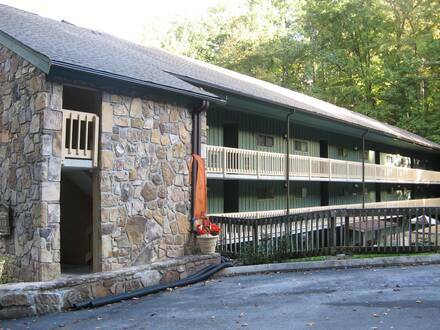 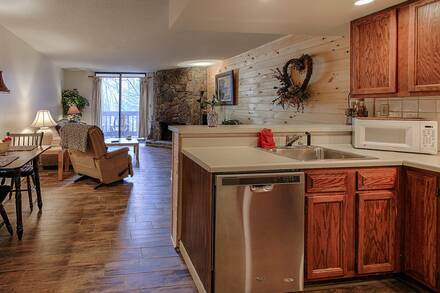 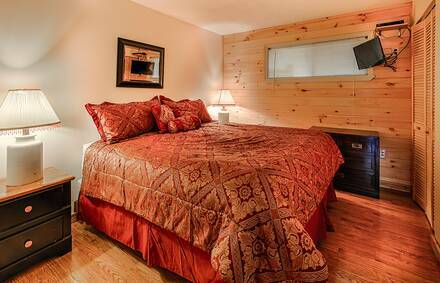 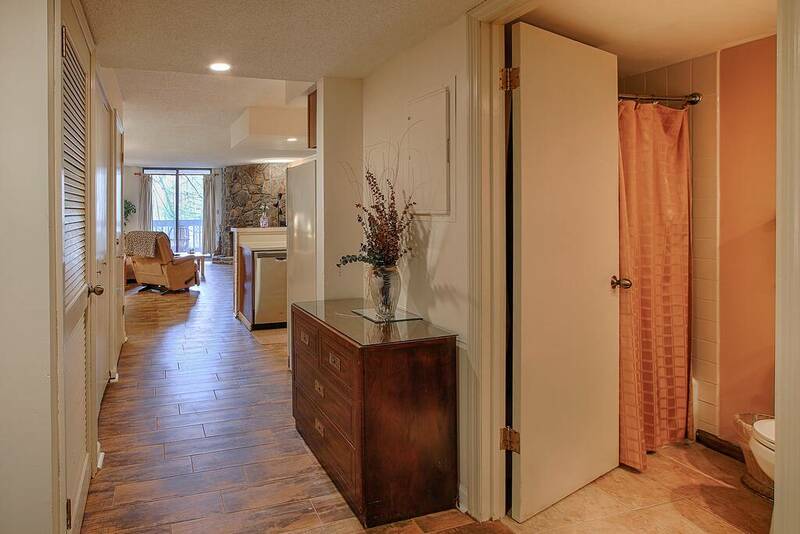 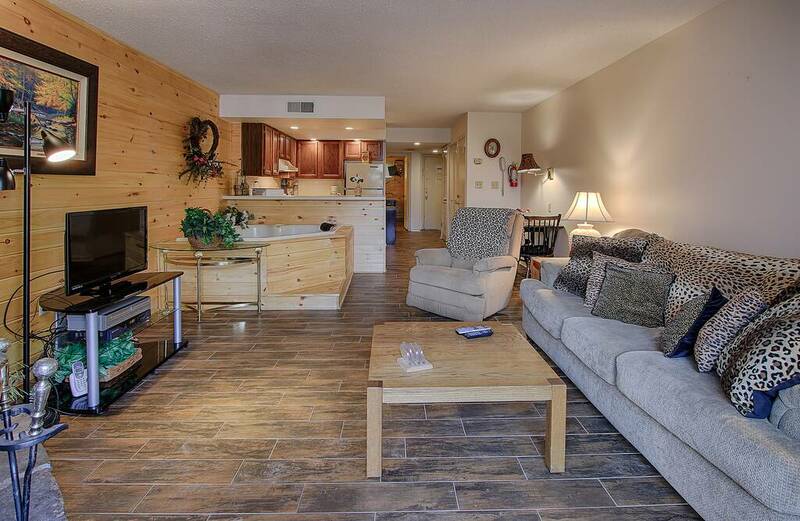 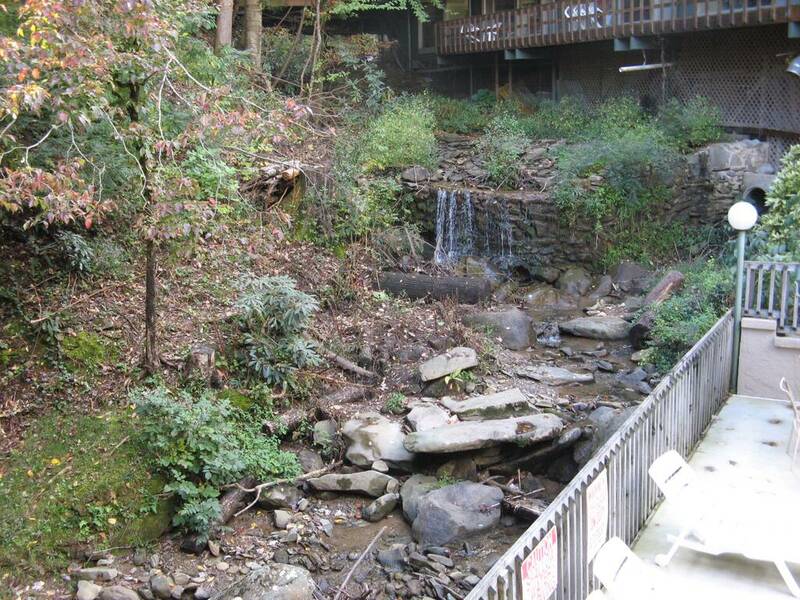 For a modern and centrally located place to enjoy a vacation in Gatlinburg or the Smokies, Falling Waters is a sophisticated condo only minutes from downtown Gatlinburg. 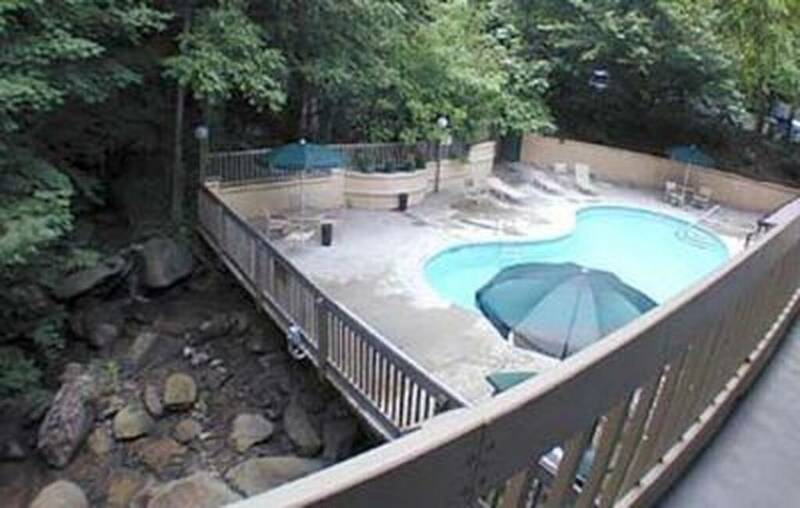 Its interior is well-appointed for a romantic trip or vacation for a family of four, who will enjoy the resort facilities and the trickle of a mountain stream nearby. 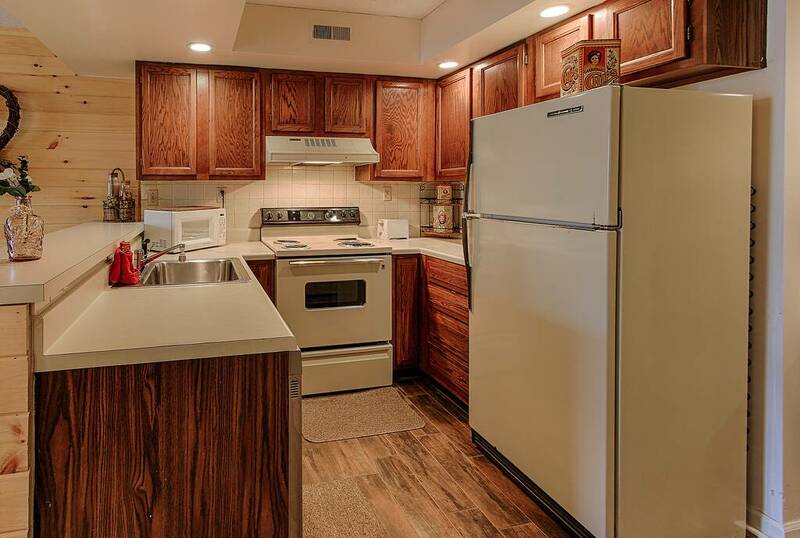 This stylish condo fits a lot inside without feeling cramped, with a wood-burning fireplace and a wood-panelled bedroom that features a king-sized bed. 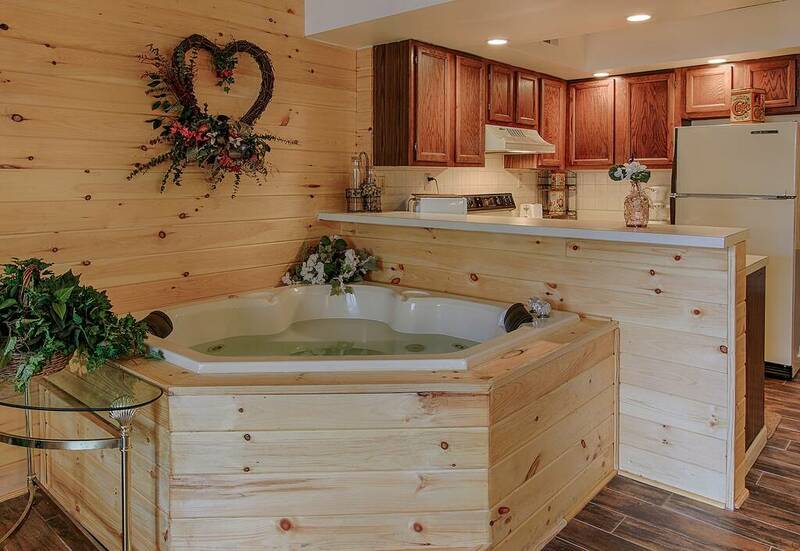 It even has a jacuzzi for two! 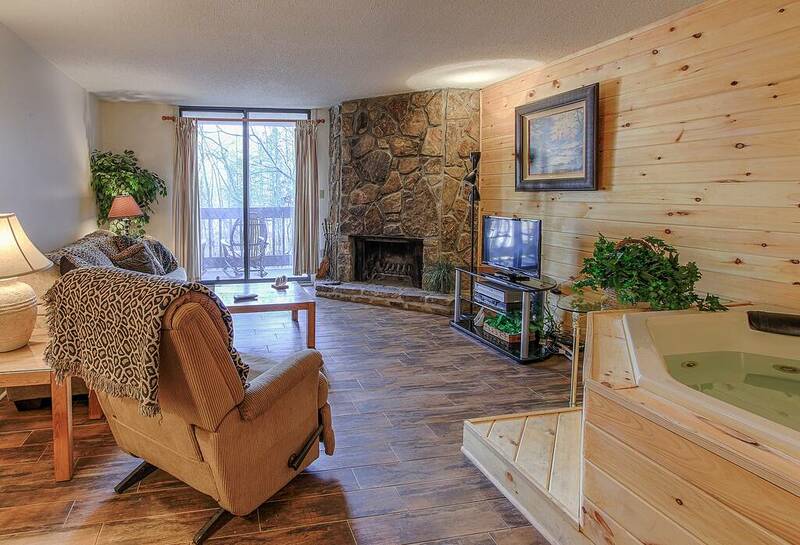 Other features include a large wide-screen television next to the fire and a huge sofa just pleading you to stretch out on it. Save money on dining out with the full kitchen, affording you more time for just the two of you. 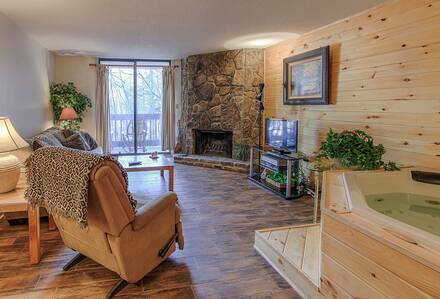 If you are bringing children, the sofa unfolds into a sleeper sofa. 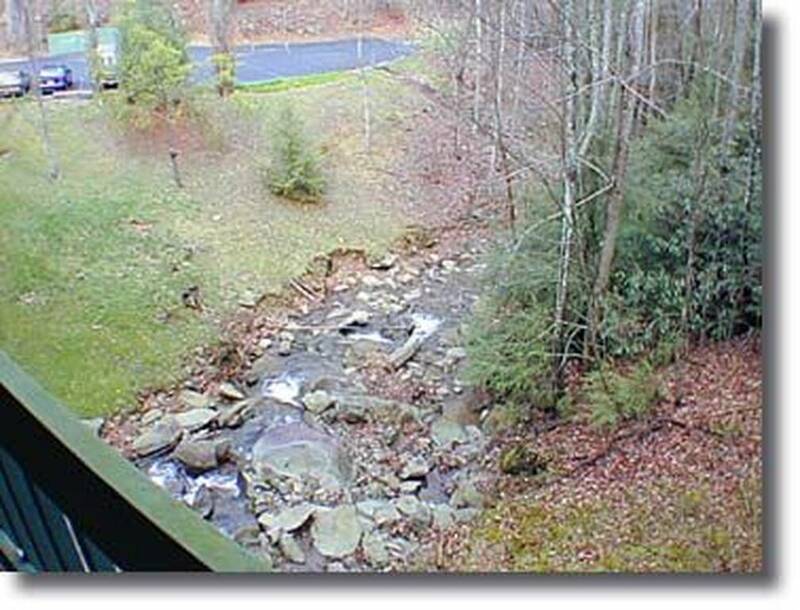 Meanwhile, the balcony brings you closer to the great outdoors, with the calming sounds of a babbling brook nearby. 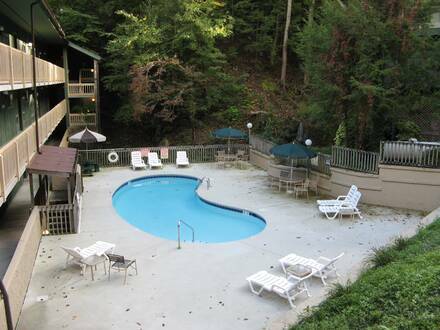 Enjoy the Village Stream Resort pool with large sun deck during the summer. 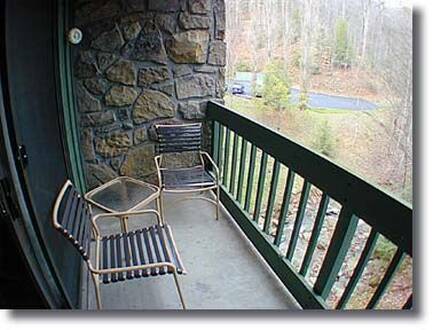 With its central location, Falling Waters makes for an ideal spot to explore the arts and crafts community and shopping in Gatlinburg, amusement parks in Pigeon Forge, or the Great Smoky Mountains National Park. After all, Gatlinburg is known as the “Gateway to the Smokies”, so you will have no trouble finding plenty of enjoyable things to do in the area.